Starting with the outer leg assembly, lay the legs on a work surface and apply glue to the rabbets. 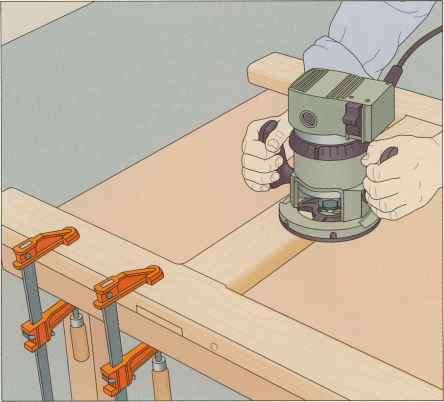 To attach each rail, place it in position on the legs and secure it with one screw at each end. Check that it is perfectly square, then add the second screw. 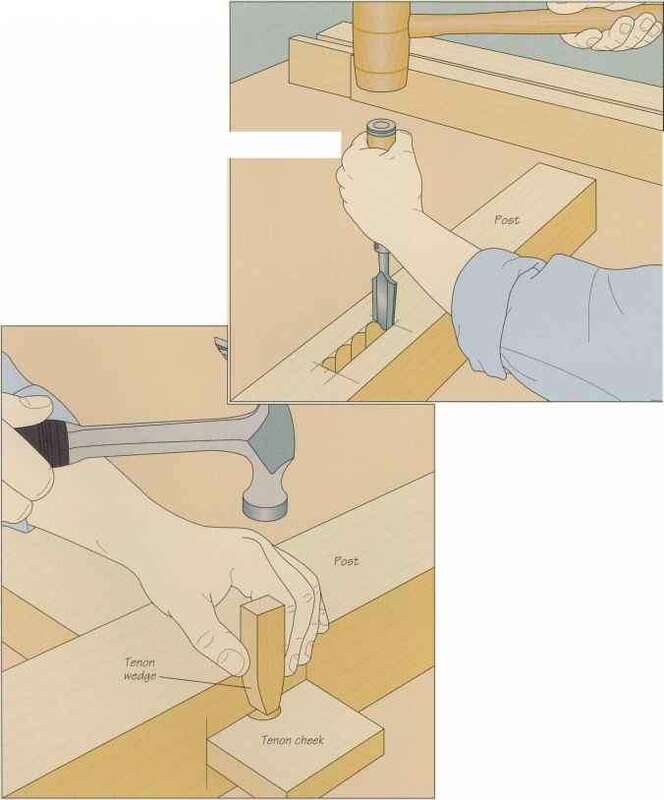 Before assembling the inner legs and rails, double check that the rails will fit inside the outer assembly, otherwise the legs will not fold properly. If necessary, trim the rails and adjust their rabbets to compensate. Assemble the inner legs as above, then add the crossrail (left).